The Brazilian Terrier has only recently begun to find a place in our world as a companion breed, but it has been a common sight on ranchers in its homeland for over 100 years. As a working dog they are ratters, hunters and watch dogs. Although small, these dogs are more alert than their heavy sleeping large companions - the Brazilian Mastiff, who once awaken by the terrier's barks can deal with any intruder. As a hunter they work in packs that work together to exhaust small prey such as armadillos, guinea pigs and quail. The history of the Brazilian Terrier begins in the late 19th century when wealthy young Brazilian men were working on completing their higher education in Europe. Upon returning home they often were accompanied with them 'a wife, a horse and a dog'. 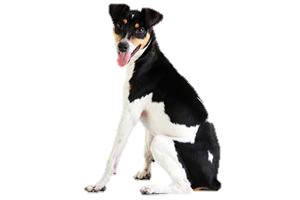 These dogs were most often terriers of the old Jack Russell type, similar to today's Parson Russell, which had descended from the Fox Terriers, both smooth and wire. After coming to Brazil they were crossed with dogs already present locally, and although no records were kept it is most often suggested at least some Pinscher and Chihuahua is in their bloodline. Is the Brazilian Terrier Right for You?